I am no Martha Stewart, or Pioneer Woman. 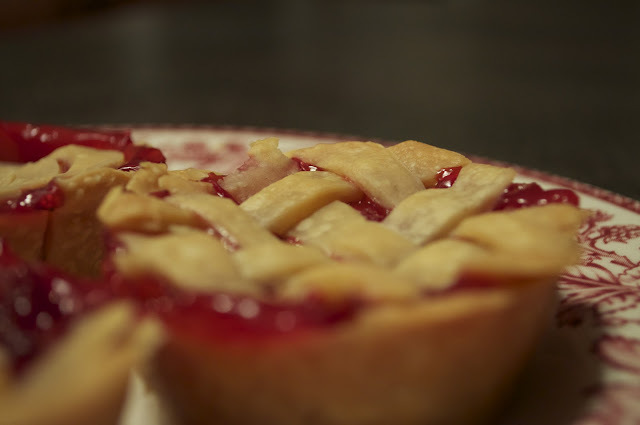 I do however like to bake. I recently came across a cute idea on pinterest to make mini pies with your cupcake muffin pan. Cute idea! 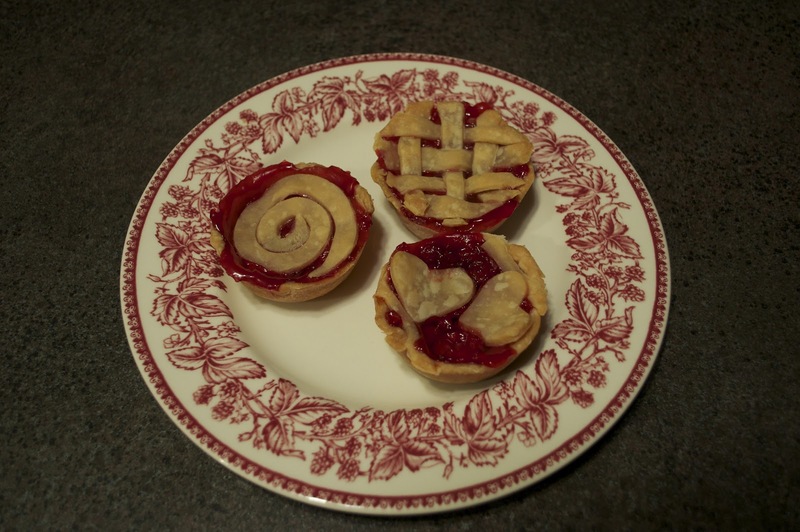 They had made apple pies, but my BF and youngest prefer cherry so I decided for valentines I would make them. 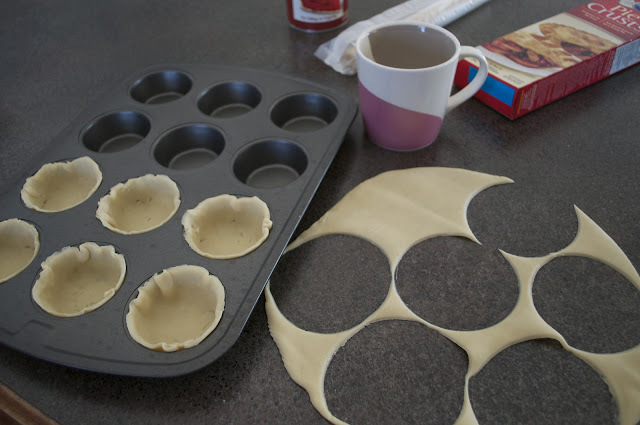 I used a coffee mug to make the circles big enough to fit the muffin tin. 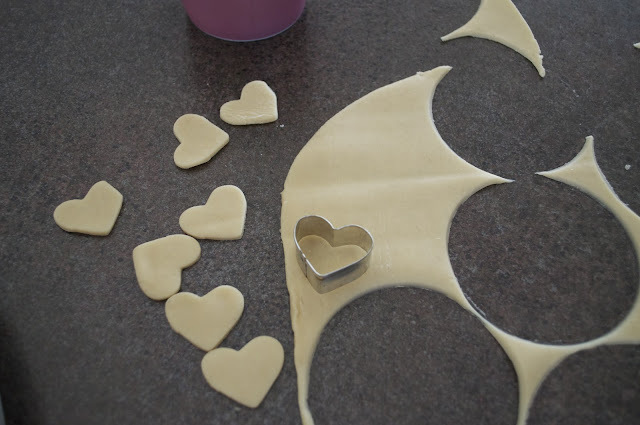 All those little divots you see in the dough is where my nails got in the way of pressing the dough. 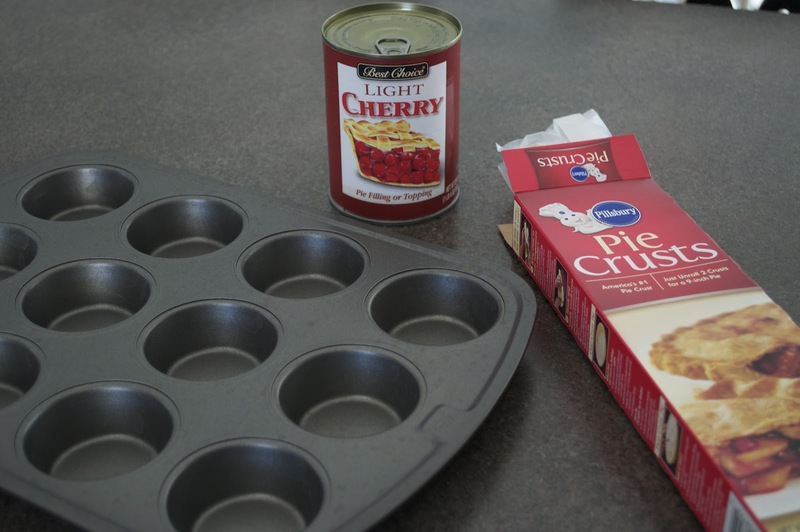 Divide the pie filling evenly into the cups. Okay so here is where it gets tricky!!! I was feeling good until I got to this part. 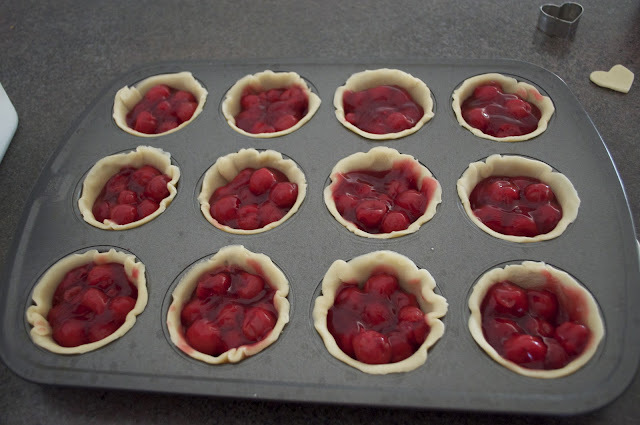 I could have used more dough to cut the strips so I had to be creative with the left over dough scraps to fill all the tops. Not the prettiest, but I was hoping they would look better after baked. Well they were a hugh hit. The cherry filling bubbled out of the edges making them look a bit messy still. They may not be county fair blue ribbon pies by the looks of them, but they all disappeared in under 24 hours. 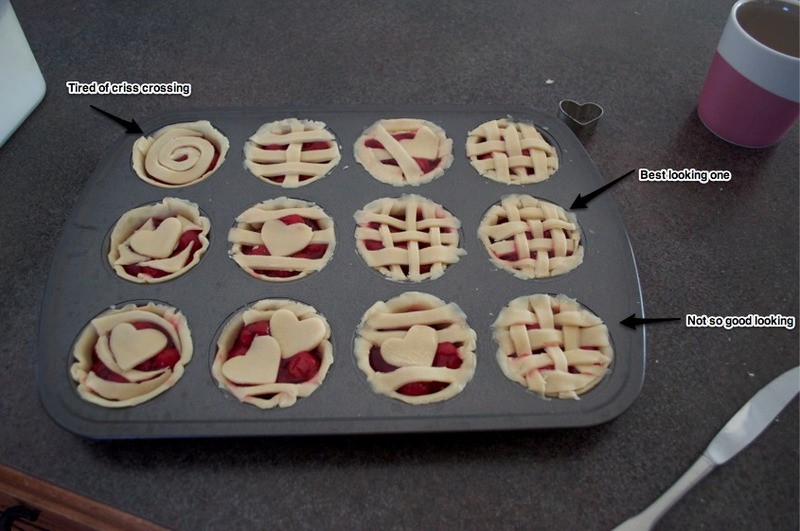 I told my daughter in law that she should make the apple pies for my son for valentines! I hope she has better basket weave tops than mine! !